It is after a long gap that Nissan came up with a performance oriented racecar especially designed for the upcoming world championship/. With the performance oriented Nismo, company holds high expectations just like any creator, but here we are talking about the world championship. 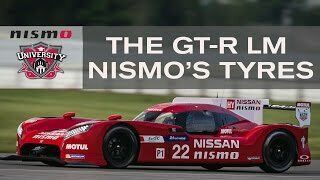 Let us have a closer look to the specifications and features and find out if the GT-R LM Nismo Racecar 2015 is worth the title or not. The interior of Nissan GT-R LM Nismo Racecar is behaved behind a windscreen made from polycarbonate. While the steering wheel is mounted with all the vital buttons giving the driver command over all major controls the bucket seat and racing harness adds to the comfortable protective ride on track. In all 15 buttons, shift lights, gear paddles and a digital read out all are mounted over rectangular steering wheel made from carbon-fiber getting accompanied by a GT-R logo in white and red color contrast. The exterior of Nissan GT-R LM Nismo Racecar is quite different from its competitors. In all the GT-R LM Nismo weighs a minimum of 880 Kg, while the length, width and height touches the score of 182.87, 74.80 and 40.55 inches respectively. Another uncommon feature is the front wheel drive system that Nismo 2015 brings with it adjoined by well-engineered brains maintaining the front-end balance. Nissan GT-R LM Nismo 2015 gets intense carbon works and provides huge downforce and acceptable amount of drag. As mentioned previously in the article, Nissan GT-R LM NISMO Racecar 2015 comes with a front engine featuring front wheel drive mechanism. As per the claims made by Nissan the 3.0 liter 60 degree V6 twinturbo engine will produce around a 1,250 hp of power. 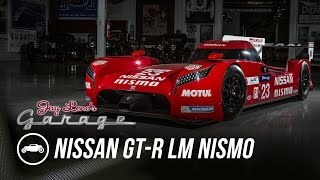 If the model touches this figure the Nissan GT-R LM NISMO Racecar no doubts will be the fastest car ruling the Le Mans. We too to an extent presume that after taking a huge 16 year gap Nissan would definitely come with a fine example of design and engineering but since we do not have much about the model, all we can do is wait for the competition and see if the Model can battle well against its competitors like, Audi R18 E-Tron Quattro and Toyota Racing TS040 Hybrid.